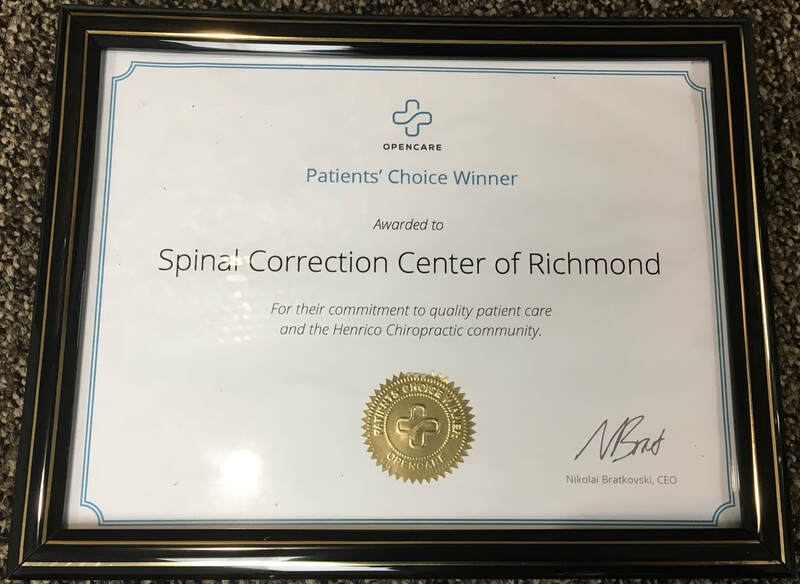 Spinal Correction Center is proud to have won awards throughout its history for going above and beyond for their patients in Richmond, VA. ​Dr. 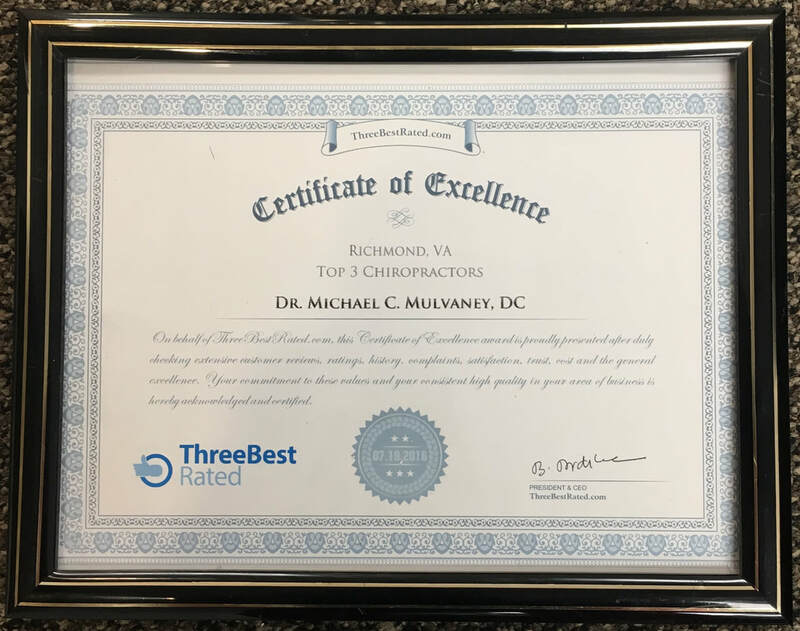 Michael C. Mulvaney, D.C. and his team have always done their best to understand any patients issues so they can safely and efficiently resolve their problems. Dr. Mulvaney doesn't offer gym services, but he does have gym equipment in his office. This is so he can see how patients use the equipment, check their form, find mistakes, and show them how to use them properly. We have always strived to do the best we can for our patients. 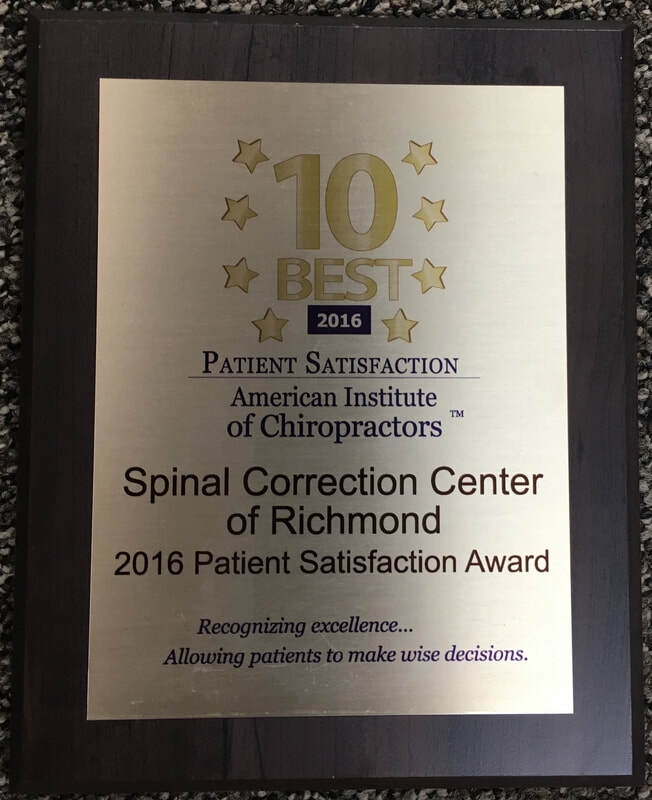 You can rest-assured that you will only receive the best chiropractic care from Dr. Mulvaney and his team at Spinal Correction Center of Richmond. 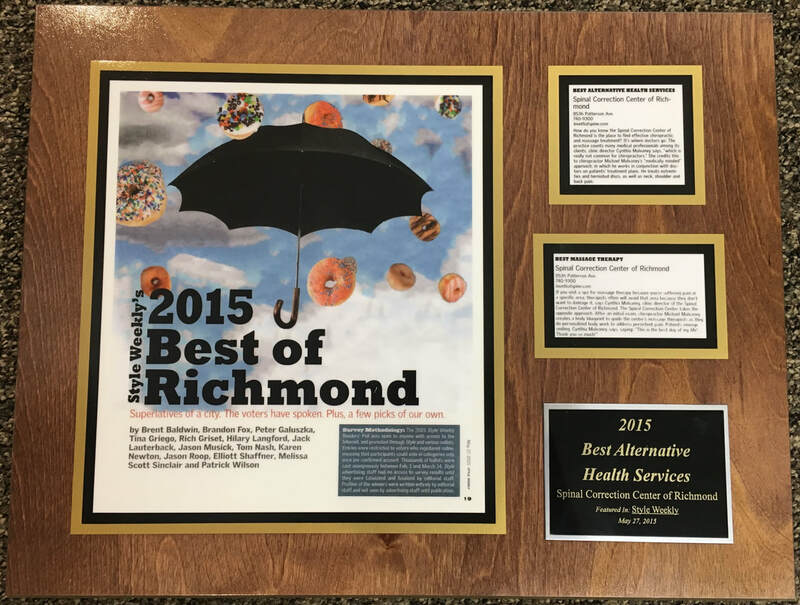 Style Weekly has awarded us multiple awards for being the best in Richmond. 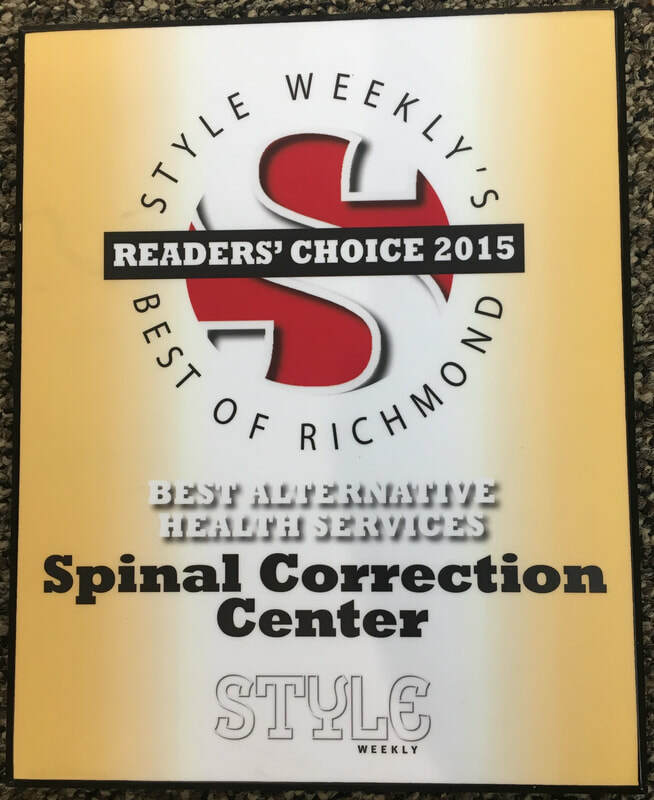 We continue this tradition receiving the Best Doctor of Richmond award from Style Weekly in 2017. Dr. Mulvaney voted Best Doctor in Richmond by Style Weekly for 2017! 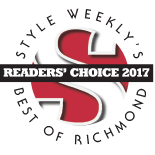 We thank everyone who voted us as the Best Doctor in Richmond for 2017 by Style Weekly! We are so happy our patients enjoy our clinic and ​receive treatments going above and beyond their expectations. 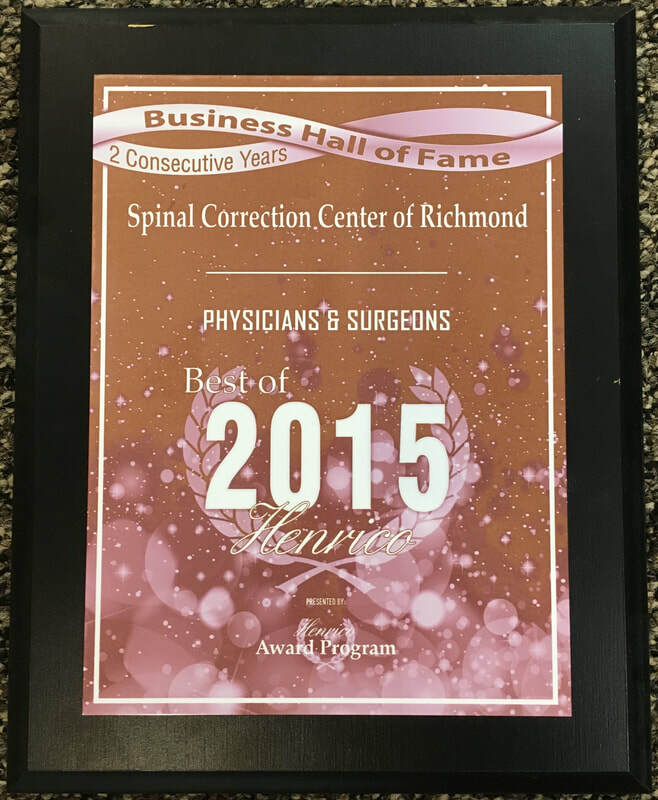 That is our goal at Spinal Correction Center and we will continue this tradition with all our patients for years to come. If you want care from a top-rated chiropractor with reasonable pricing then give Spinal Correction Center a call today. Whether you are experiencing pain or just need a soothing massage from our therapeutic experts, give us a call today to fully understand your options, get treated by a team that truly wants what's best for you, and get back to wellness.